2K China bypasses PS Vita to bring Irrational Games' dark deco dystopia BioShock to iOS later this summer at a premium price! This is the studio's followup to its excellent XCom port, which comes highly recommended. "BioShock was such a huge game back when it released," production assistant Ben Holschuh said. "With more and more people having iPads and iPhones and using that as their core gaming device, there has been a lot more demand lately for some more core experiences. "BioShock seemed to make a lot of sense." 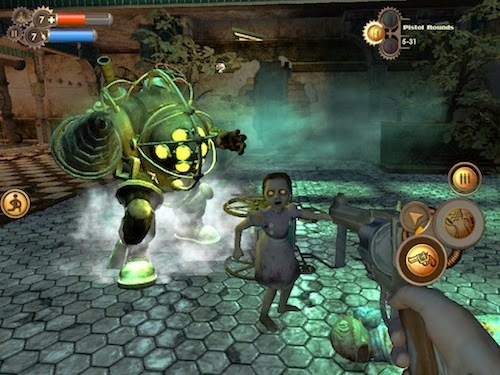 Would you prefer to play BioShock on PS Vita? Let me know in the comments below.